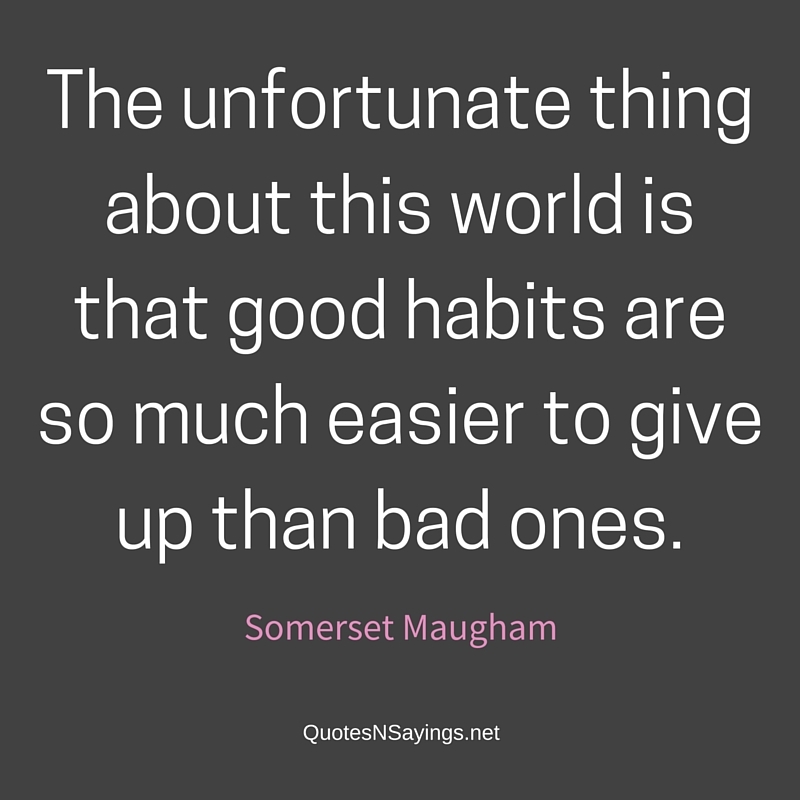 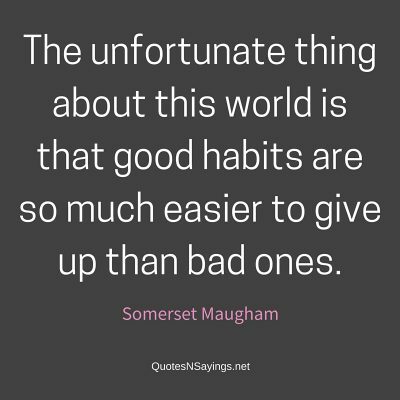 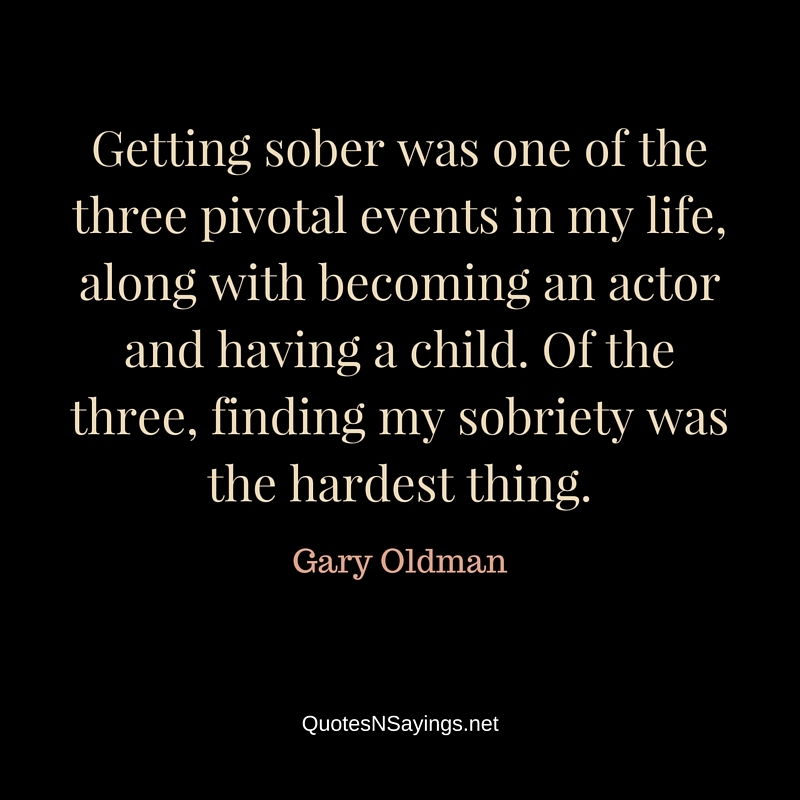 Getting sober was one of the three pivotal events in my life, along with becoming an actor and having a child. 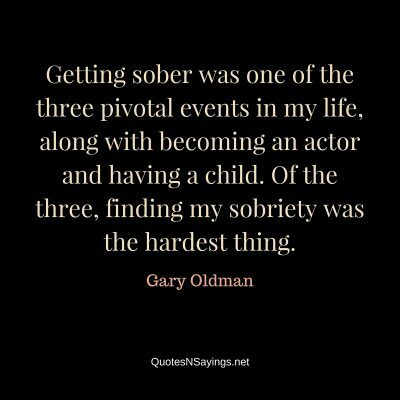 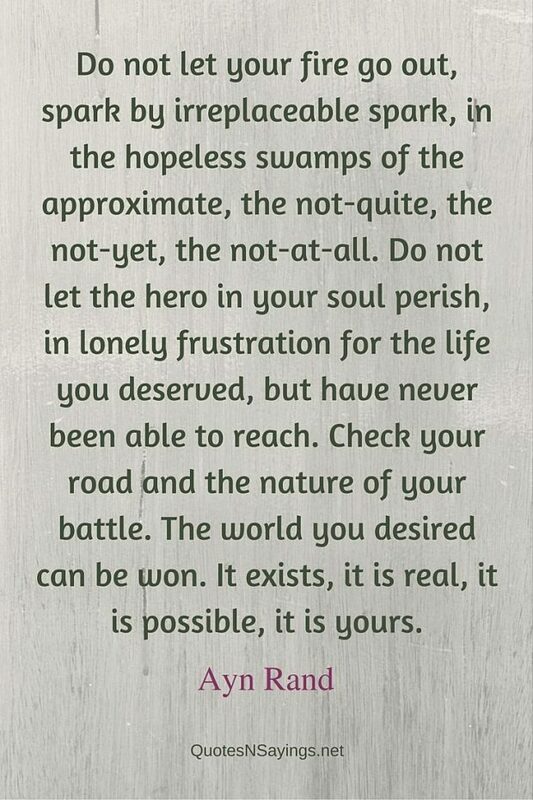 Of the three, finding my sobriety was the hardest thing. 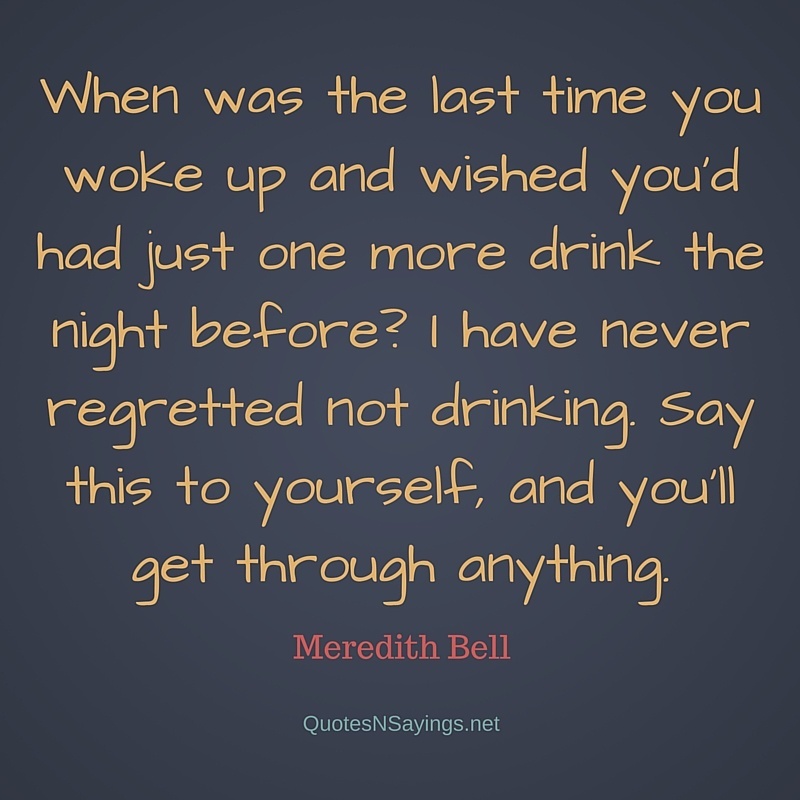 When was the last time you woke up and wished you’d had just one more drink the night before? 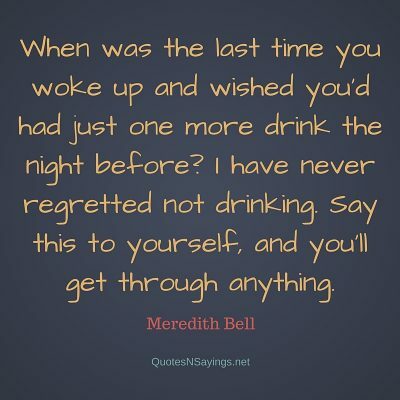 I have never regretted not drinking. 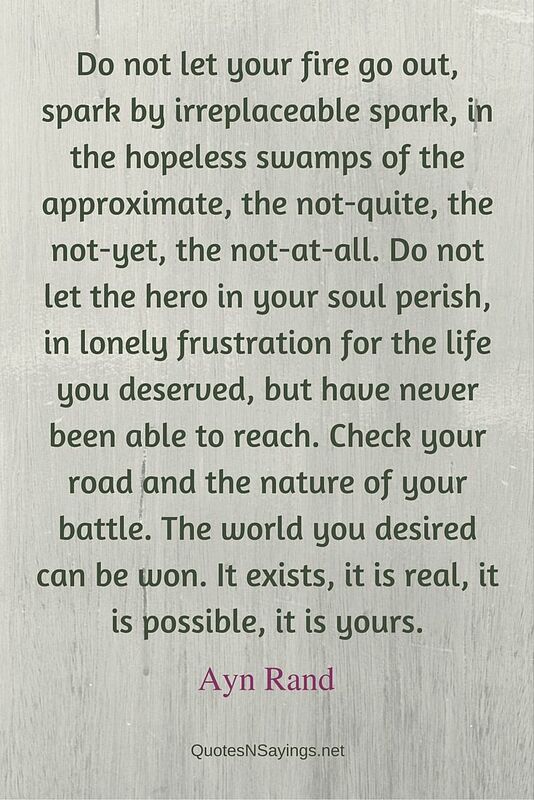 Say this to yourself, and you’ll get through anything.